It was a fairly bleak week weather-wise, but with clear skies forecast myself and 2 friends went to the Findhorn Valley on the afternoon of the 10th. One distant Golden Eagle and a pair of cavorting Peregrine were the Raptor highlights amongst the munroes, and a pair of Curlew were calling on territory. As the promised weather failed to deliver, we made for Loch Ruthven and enjoyed 3 Slavonian Grebe on the water close to the hide. Like buses, Red Kites. Hot on the heels of one on patch and 2 just off around Hales, I added a further 3 birds yesterday and I feel like this species has now formally announced its arrival having briefly popped in earlier in the year. 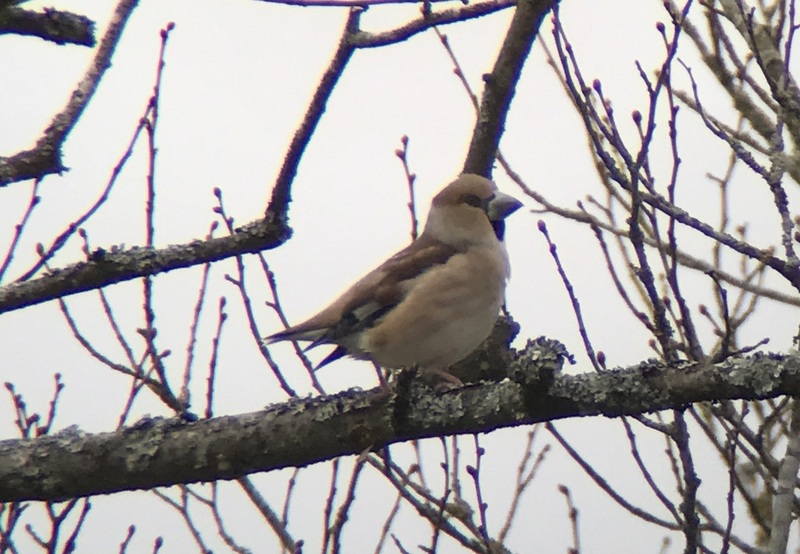 2 birds were spotted high above Wheatfen by my cousin Ben Moyes, and a further bird was seen close to home at Claxton marshes late in the afternoon of the 6th. A superb addition and surely here to stay.